I am sure a few people have many times wonder about this topic. How can I delimit a position or an OM objects? Do I need to just delimit infotype 1000, what about infotype 1001 or 1008, etc., With this standard delivered SAP program, this answer it all! 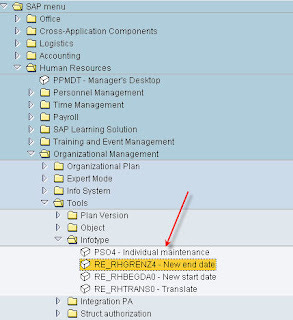 You can use a standard delivered SAP program to delimit one or more infotypes on an OM object easily. When using this program, you have several available cool options. 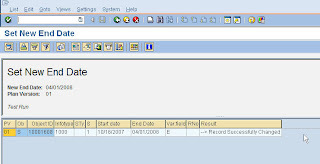 You can have the objects and all related infotypes be delimited on a set date. 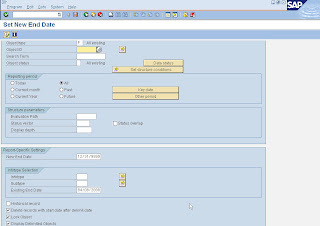 With that, you can chose to either have it delete any future date records post the delimit date or leave it. You can also run it in test mode to see the result before you cause damages! Try to play around with this in Sandbox and you can see the cool functionality of it. hi kevin, very useful! how can i filter by person? i tried to do same changes to relationships (delimiting endda from infotype 1001) only to a group a employees using 'change structure conditions' but when execute it brings all the employees when existing relationship. How can i filter by personnel number?